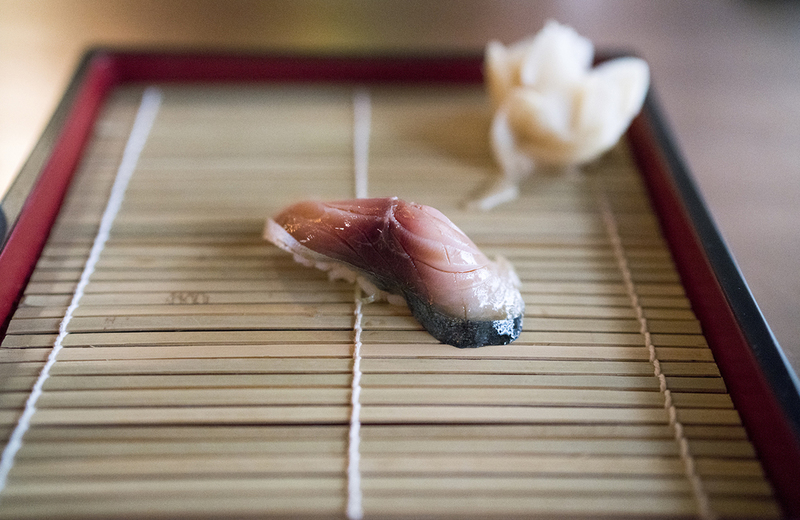 I first heard of New York Sushi Ko a year ago ago when I saw Instagram pics of a sushi chef blowtorching bluefin tuna skin until the rendered droplets of fat dripped onto the piece of toro tartare waiting below. After I wiped the drool from my phone, I learned that the chef’s name was John Daley, a 6’1” American from New Jersey with awesome RICE and FISH knuckle tats. With only 11 seats at Sushi Ko, I tried and failed a few times to snag a table so I gave up. Fast forward a year when my opportunity came up two weeks ago when my friend, Nina, mentioned Sushi Ko’s popup at Church Street Tavern, a restaurant right across my office. Fate was knocking, and I was ready to answer. Friday, October 2 was dreary with gray skies, billowing winds from incoming Hurricane Joaquin, and icy rain. Luckily, the commute between buildings was 15 seconds. My coworker David was perched on the bar stool, ready for the feast. Chef came out and explained the simple menus available - a $50 “Sushi” omakase and a $100 “More Sushi” and we all laughed. "No, but seriously, we like to keep it simple," he said with a smile. Chef recommended we use our fingers instead of chopsticks and that “each piece was already seasoned with soy sauce and wasabi. IF you prefer less soy sauce and wasabi, please let me know and I will adjust accordingly.” aka, don’t be a sushi newb and disrespect his calibrated sushi with a soy sauce dunk. We opted for the regular $50 menu but upgraded to the $100 option as soon as the first piece of sushi landed in our mouths. Check out the slideshow below for more descriptions on what we got. Smoked with Japanese walnut. Chef described it as "the smoke that lingers by the ocean...like camping by the beach." Top of the line freshness and quality. 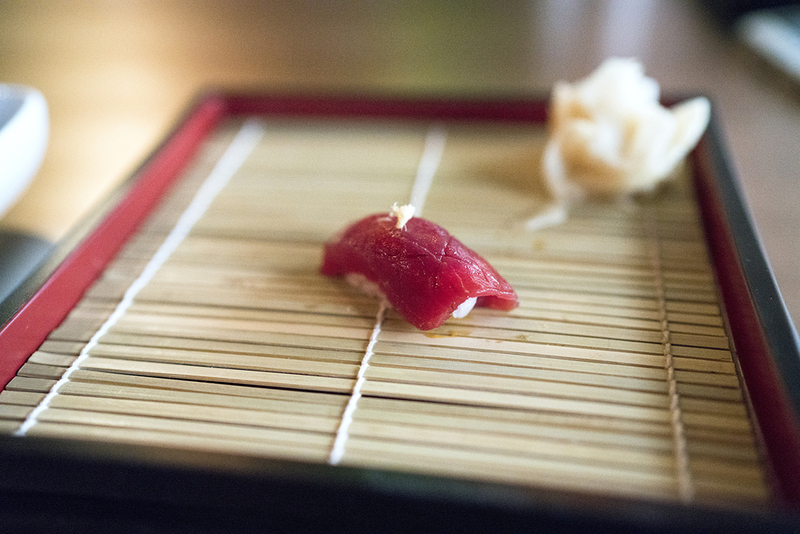 There were the usual suspects found in an omakase: chu toro, uni, ikura, etc. but there were pieces I haven’t had before. 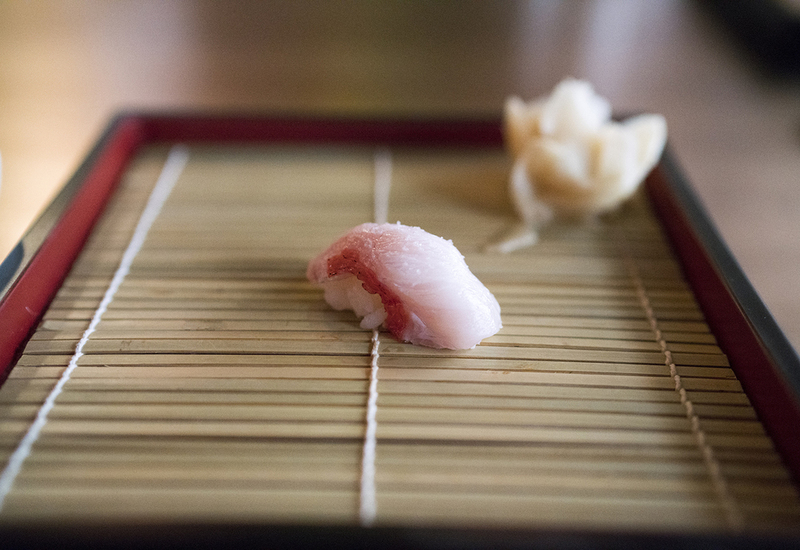 Amberjack belly (lusciously soft), Kinmedai (Golden big eye snapper) that I hear is difficult to procure from Japan. I’ve read that Chef John Daley loves uni and our omakase included a few different types and preparations: Maine, Hokkaido, Santa Barbara sushi, a torched Santa Barbara version, and an uni hand roll. As an uni lover, I just kept smiling and nodding as the pieces came out and rolled my eyes at the lady next to us who took one bite of uni and left the rest on the plate. Would it have been bad form to reach over and snag that liquid gold? Perhaps. In terms of style and presentation, it’s on the traditional side vs the over-complicated fusion sushi you see everywhere else. 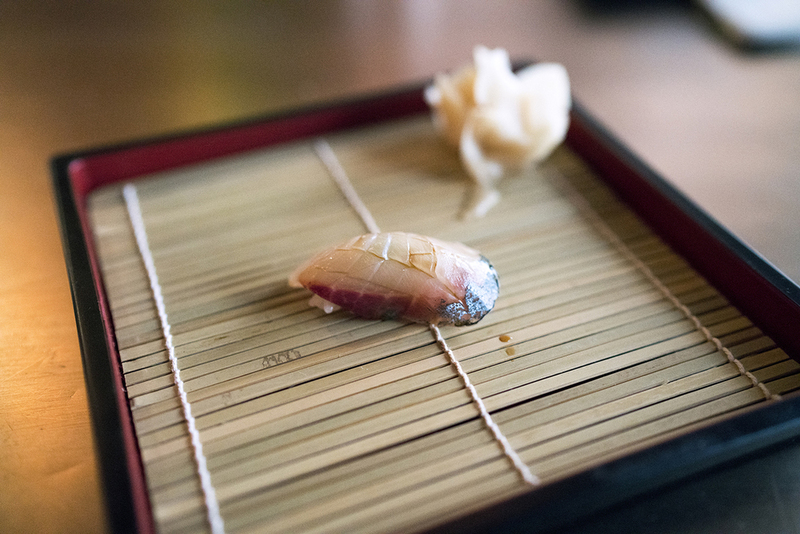 However, he adds just a little twist to each piece in terms of amping up flavor without overshadowing the flavor of the fish (which reminds me of nakazawa). 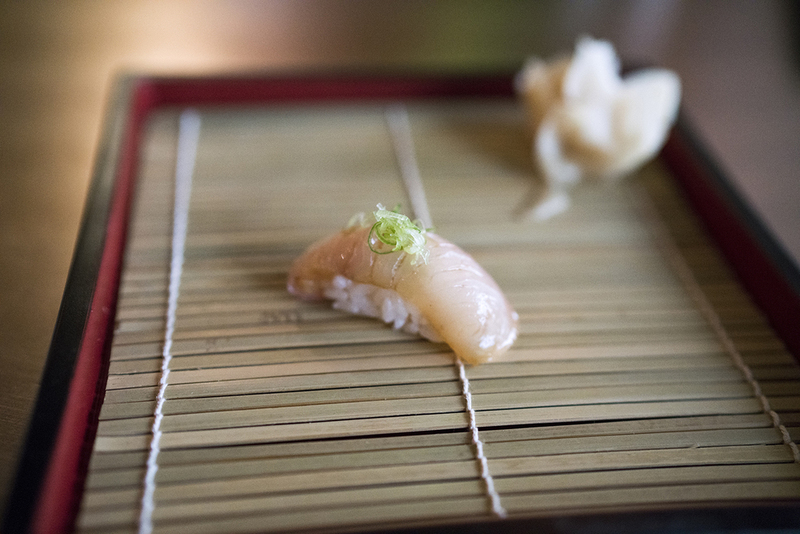 A sliver of ginger and a dab of yuzu went a long way in brightening up the savory notes of the fish. He used heat (blowtorch) to introduce smoky elements that complimented fish such as amberjack. The ikura was marinated overnight with dashi containing bonito flakes for a savory punch that lingered. All in all, the seasoning was all very balanced and meant to harmonize and maximize flavor without competing with the star ingredient - the fish itself. Beyond the super fresh fish, I tasted the individual grains of rice, seasoned just right with vinegar. Many places have underseasoned and overseasoned rice. Some too mushy, some too warm. Chef thanked me for the compliment on his rice and added, “rice should be body temperature, and the fish should be room temperature” and smiled as he went back to making the next piece of sushi. 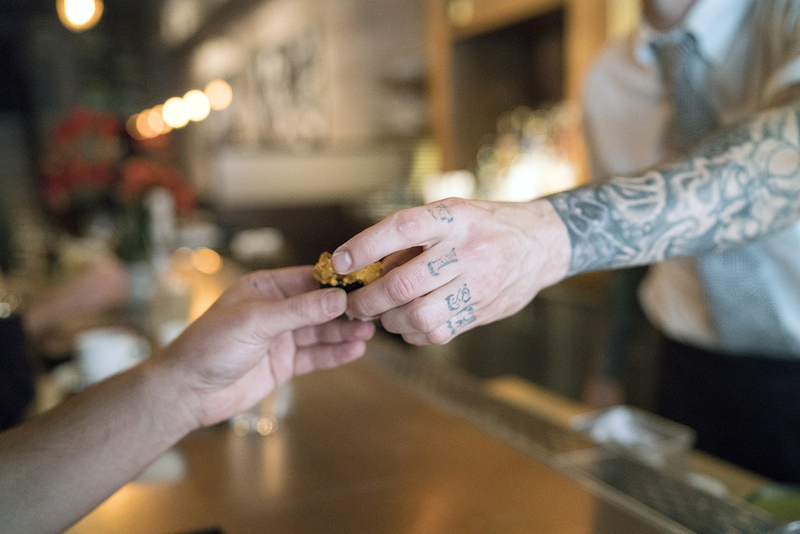 His tatted fingers were a blur with the sushi knife moving in tandem with lightning-fast cuts. Every motion had a purpose, nothing was superfluous. There are about 8 seats at the "sushi counter" (usually a bar) at this popup. Normally, when I think pop-up, I'm assuming tight, cramped quarters or a cramped spot in the basement. But here, the sushi operation is center stage at a converted bar right in the front. In addition to us, he was serving 3 other people who came in 20 min after us (some chose $50 while some chose $100 version) and managed to pace the service so that everyone ended around the same time, akin to how skydivers jump out of a plane at different times but all manage to parachute and land together. The $100 omakase was 90 minutes start to finish for 15 pieces and an uni hand roll. For the technique, quality, and camaraderie (he has an unfortunate stockpile of corny sushi jokes), I would totally go back again. In fact, David and I booked our Round 2 reservation. 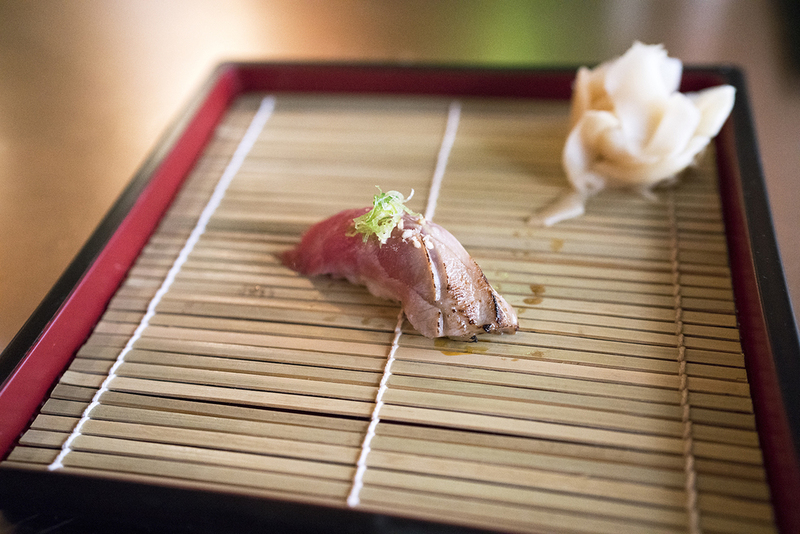 Sushi Ko is having a popup at Church Street Tavern through early November for both lunch and dinner. Call 917-734-5857 for more information. Lunch offerings: $50 (~8 pieces) and $100 (~16 pieces). Both have option to add on a la carte. I recommend the $100 version which includes some primo Japanese fish that you might not find in traditional omakases. Dinner will run around $150. 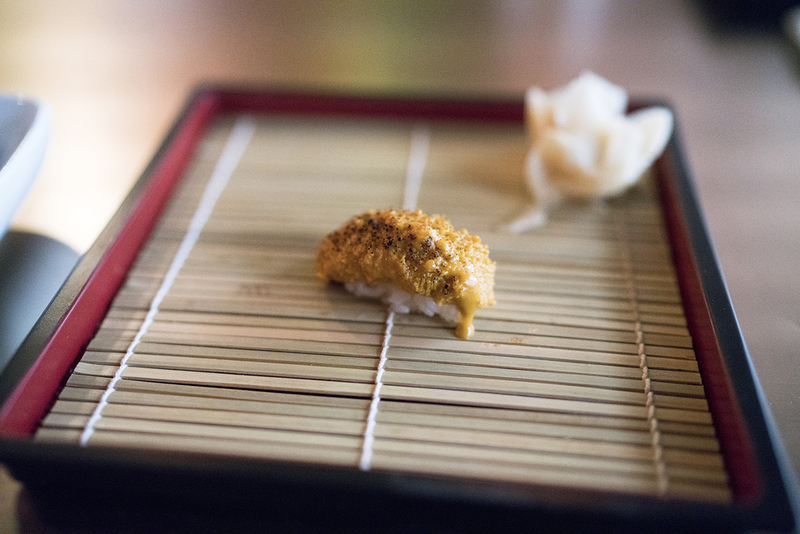 If you love uni as much as Sushi Ko, you need to come. It’s worth using a sick day.